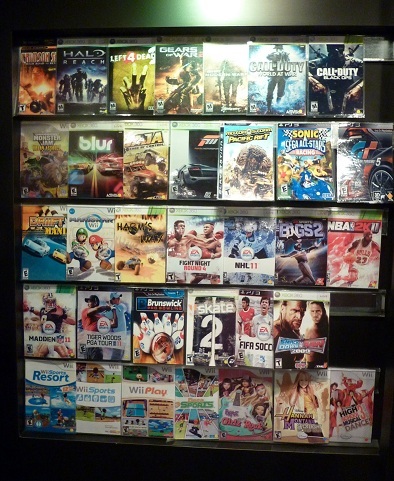 I had the pleasure of touring a Game Truck last week with the other writers of Zaxy.com, my other blog. Four 50″ plasma TV’s, three Xbox 360s, three Wiis, two PS3s, and enough video games to keep you entertained forever greet you as you enter. The games showcased are removable, so if you choose to have a Game Truck party for your 6-year-old, you can make sure he doesn’t end up playing Call of Duty. Game Truck drives to you and parks wherever: we played directly outside of a pizza place. 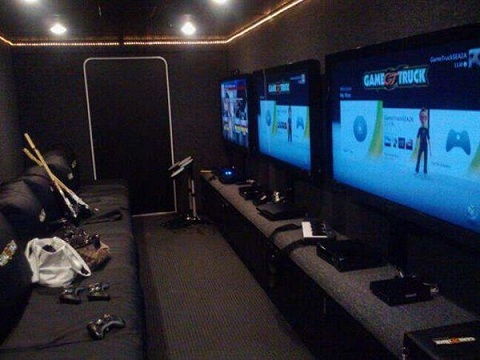 Game Truck also supports system link and has multiple copies of games, so when you want to organize a sweet Halo tourney in your backyard, it’s as easy as having them bring the truck over. 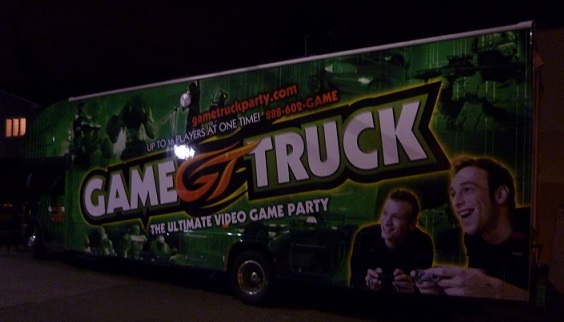 The Game Truck is a quick, affordable, and memorable way to throw a party for your kid, husband, or yourself. Park it outside your favorite bar, if you want! Want more info or want to throw a party of your own? Check them out here! HOLY CRAP! Best idea ever! Nate wants a Nerf party this year (renting a gym and letting the kids blast each other for two hours), but he’ll change his mind if he sees this.